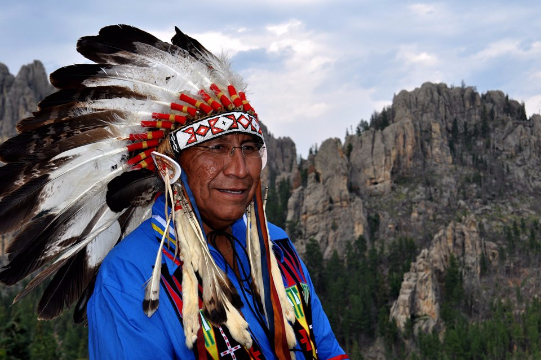 Chief Arvol Looking Horse is a Lakota spiritual leader. On this June 21st, 2015 we as the Spiritual People, from the guidance of Great Spirit, will light our sacred fire of 20 years. My heart is heavy as I share my feelings with each and every one of you; it feels as though humanity has gone too far. It was shown in a dream long ago, that we would come to a time in this global community, when we would have to unite at our Sacred Sites once again to bring back healing. Many Nations would stand shoulder to shoulder in the Sacred Hoop. The future of our children’s health and wellbeing is dependent on our efforts. They need every person’s prayer from the Global Community. We are sincerely asking prayers for the People that are spiritually disconnected who are making decisions that only last in their life time of survival for profit off Mother Earth. Mother Earth is the source of life, not a resource. Many Sacred Sites have been abused and controlled by People who do not know Spirit. In our prophecies when earth and climate change begins to disrupt the natural cycle of survival and life, the animals would warn with their sacred color white. This will be a sign of what is called the Crossroads; either be faced with chaos, disasters and witness tears from our relatives eyes or we can unite spiritually in this Global Community – All Nations, All Faiths, One Prayer. We must regain the respect and honor back for the Sacred Sites and Sacred Places of worship. Long ago, wars left these places and people of prayer alone, today they are being destroyed. I know that many People feel the same as I do. This has been a long journey of many tests and hardship at times. If it were not for the People that believed in spirit of the white animals we would have never come this far. We ran and rode horse back carrying that sacred message for the health and well being of Mother Earth and all her creation. We did our best. I would like to acknowledge all those who heard the call and sponsored the event of June 21st to grow on their continent and honor their local Sacred Site. This year many will travel again to their sacred places. In Ashland, Oregon, we will honor my Hunka (adopted) Father Dave Chief for instructing RED (Red Earth Descendants) to pray since 1996 at their Sacred Site. I ask the Global community to pray with us, whether it is a church, temple, synagogue, mosque or where ever the spirit may guide to pray with us on this day. Chief Arvol Looking Horse is a Lakota Indian spiritual leader. Chief Looking Horse will be leading World Peace and Prayer Day celebrations June 18-21 in Ashland, OR. World Peace and Prayer Day/Honoring Sacred Sites Day has been a 20-year tradition that promotes co-existence among all peoples and nations. The motto “All Nations, All Faiths, One Prayer” has been the vital part in the solution of healing this ailing Mother Earth. Whether it is at a Natural site, a Church, a Mosque, a Temple or a Synagogue, we need all People who truly understand their faith and responsibility for our future generations’ well being to help heal.